Like the Back, Home, and Recent soft keys that already exist on the navigation bar of our Nexus 7s, menu and search are basic functions that most of us perform regularly on our devices. To make the process of searching and exposing the menu easier and as convenient as using soft key functions, all you need to do is add them to your nav bar. 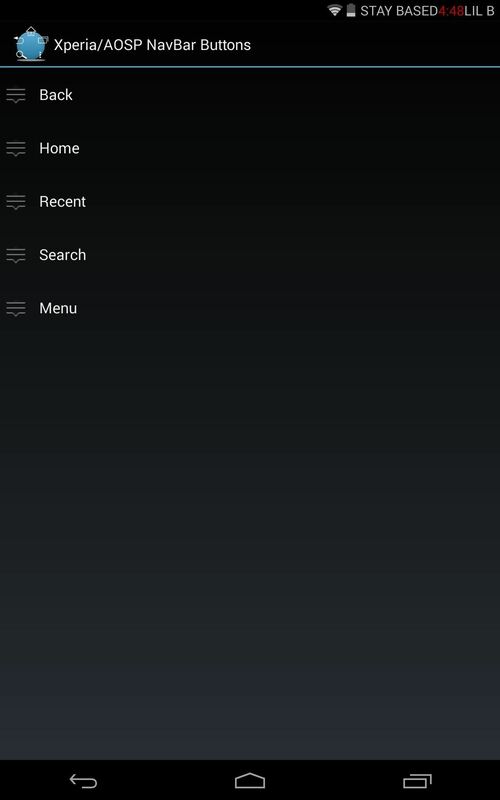 That is exactly what the Xperia/AOSP NavBar Buttons mod from dev Andy Wong does. 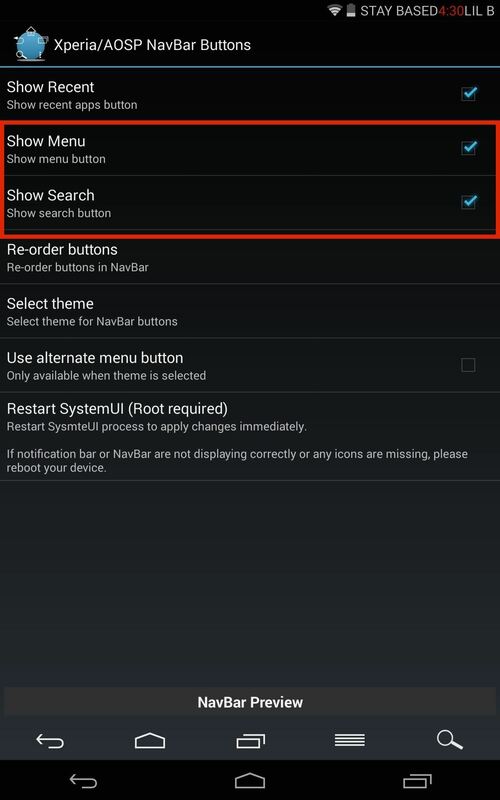 Essentially, you will have two added soft keys to your nav bar—Menu and Search keys. This will make performing basic actions even quicker than tapping on the icons included in apps. To begin, make sure your Nexus 7 is rooted and that you have Xposed Framework installed. This module has made its way over to the Google Play Store, so head there to grab it. 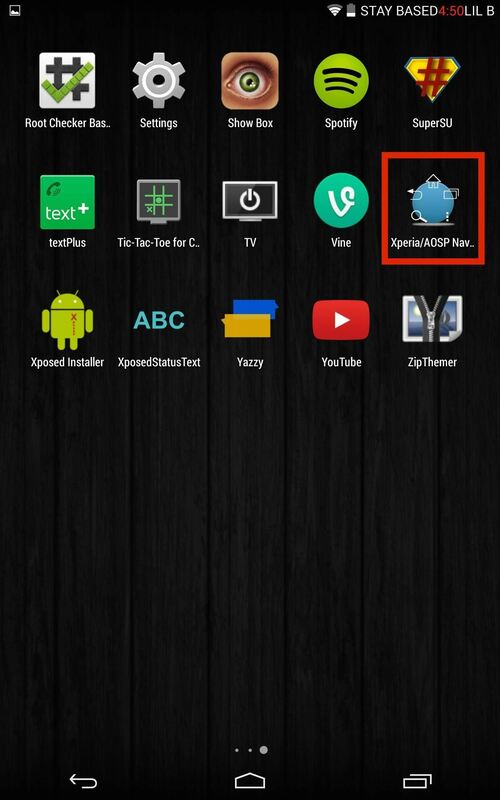 Alternatively, you can download it from Xposed Installer's Download section, or directly from here. After installing the module, make sure to activate it and reboot your Nexus 7. Open the app from your app drawer, then make sure that the Show Menu and Show Search settings are enabled. Also available is the ability to reorder your soft keys as you see fit, as well as add a custom theme to them. All the changes and themes you apply will be displayed in a preview located at the bottom of the application's display, but you'll need to reboot your device to apply them. If you tap the Search soft key from the home screen, it will activate Google Search. Selecting the Menu soft key from the home screen will open your home screen options. Personally, I like having to spend less time looking for the menu option in applications, and the new search key makes it extremely quick to perform a search, and they've worked for every app I've tried them on. 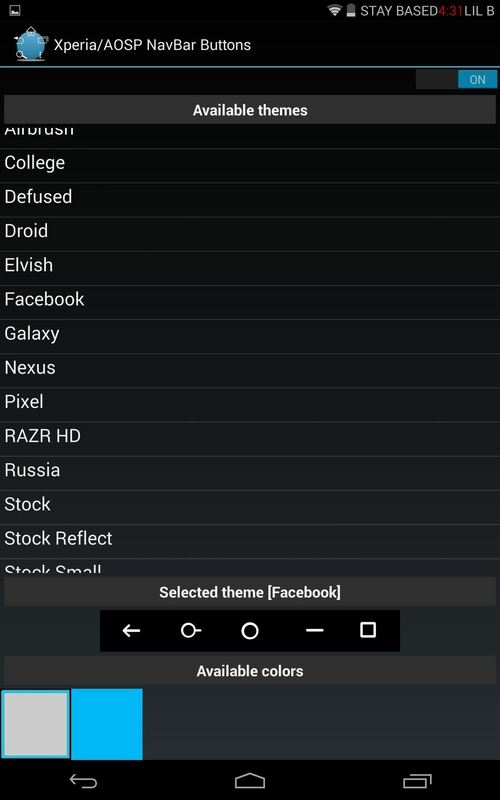 The only drawback is that the mod is useless in landscape mode, so let's hope the dev can get on that for all us Nexus 7 users.